Krill Oil may help reduce the risk of coronary heart disease. Supportive but not conclusive research shows that consumption of EPA and DHA omega-3 fatty acids may reduce the risk of coronary heart disease. 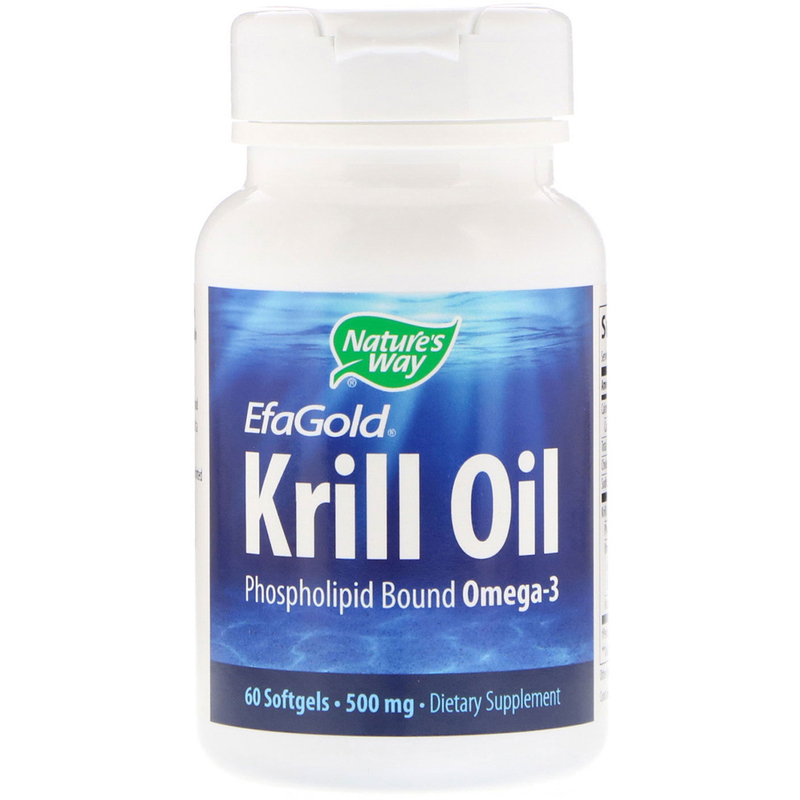 EfaGold Krill Oil supports healthy joints and blood triglyceride levels already within normal range. Sustainable source with 100% traceability back to the harvest location. 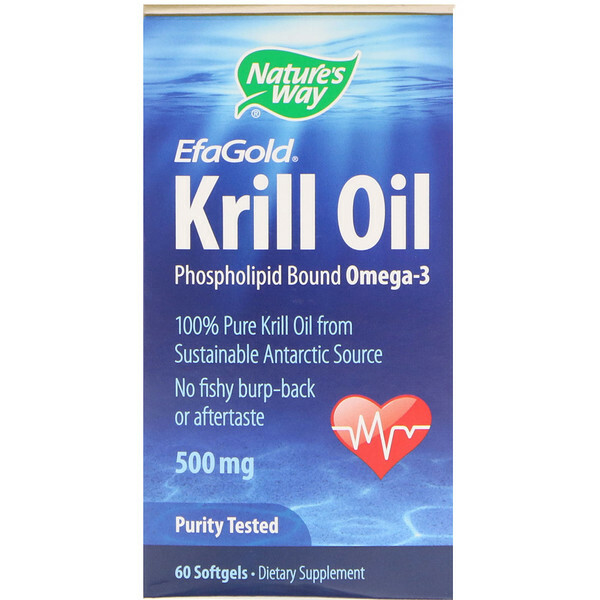 Krill Oil's omega-3 fatty acids are in optimal phospholipids form. Smaller effective dose than fish oil makes for easier intake. Purity tested for PCBs, heavy metals (including mercury) and other impurities. 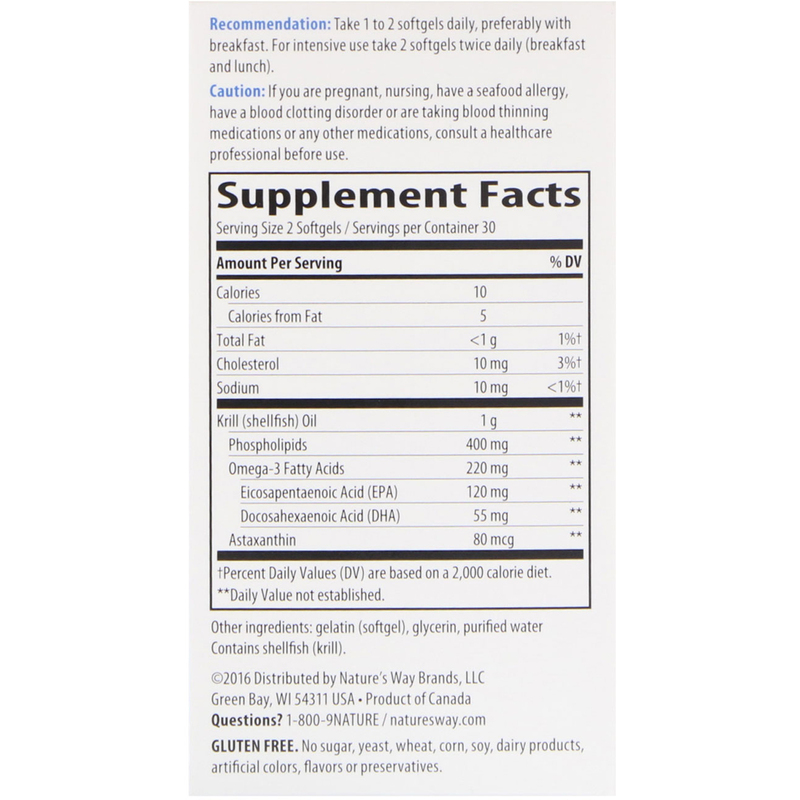 Caution: If you are pregnant, nursing, have a seafood allergy, have a blood clotting disorder or are taking blood thinning medications or any other medications, consult a healthcare professional before use. Keep out of reach of children. Safety sealed with printed outer shrinkwrap and printed inner freshness seal. Do not use if either seal is broken or missing. Store in a cool, dry place.